Remember that bittersweet first-ever swig of beer, or puff of a ciggy: that strange middle place between repulsive and compelling? Belle's can be a bit like that, especially if you're chasing a hot-chicken high ­– which is an actual thing. "It's an out-of-body experience," says Belle's chef and part-owner Morgan McGlone (ex-Husk, in Nashville). It's highly addictive too. "That spice gets into your blood system. You get the fever," says McGlone. That fever, which can manifest in sweats, tingling lips and light-headedness, is so much a signature of the South that hot fried chicken is a tourist attraction in Music City – Nashville, Tennessee. It's more than a foodstuff; it's entertainment, a sport in which all eaters are equal (personal chilli tolerances notwithstanding). 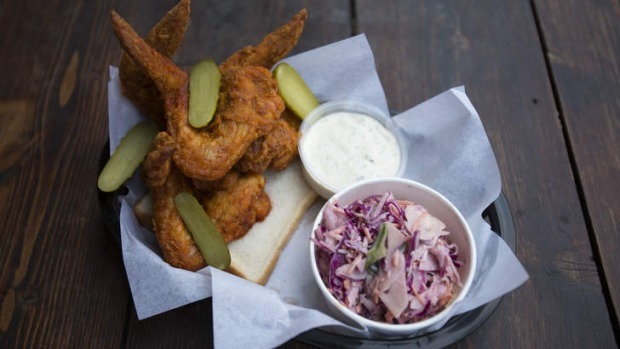 The Nashville hot-chicken concept comes way south, to Melbourne, from McGlone and mate Aaron Turner (ex-Loam, now living in Nashville). The concept is simple: choose your meat, its heat, and a side. In the meat options, the chicken (free of hormones and preservatives, and halal) comes in three cuts: wings, tenders (under-the-breast strips), which can tend to the dry side, and dark meat (thigh and drumstick) – my favourite. It's brined, dried, then dipped (in whisked cottonseed oil, butter, paprika and cayenne pepper) and deep-fried. Then, they add the heat. From that base paprika-cayenne hum, called "Southern", chicken pieces are coated in dried chillies: habaneros without the seeds ("Really Hot") to habaneros with seeds ("Really F'ing Hot"). I went as far as the brick-red coloured "Hot", which slapped me in the face, but had me going back for more. There's also a fried fish option of flathead that's dredged in buttermilk and rolled in cornmeal, and a portobello mushroom that works pretty well at holding the heat. Sides like commercial crinkle-cut fries and a thin, mushy mac-and-cheese may be as they are in an American hot-chicken restaurant, but the irony is hard to swallow after the first taste. Purple cabbage coleslaw or mixed pickled veg are better choices. You might also opt for a dipping sauce, say, buttermilk ranch sauce to quell the fire, or nuance the heat with Mississippi Comeback, a spicy Thousand Island-style sauce. 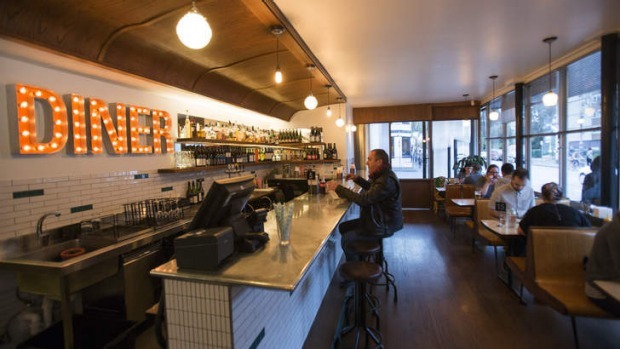 Belle's big stool-studded bar – where you order and collect your number on a stick – gives the place a diner vibe (it originally opened as Belle's Diner, with a different chef). Embrace eating out of a plastic basket lined with a slice of white bread (to soak up the grease, traditionally not for eating), swill from a can, and maybe try for a hot-chicken high. Eat responsibly. Do... Check for off-menu items like fried oysters. Don't... Forget to wash your hands after handling the hot stuff. Vibe... Brassy fried chicken shack.